Thank you for visiting our website, showcasing our adult, childrens & family martial arts classes in the Chorley area. Our centre is a 5,0000 square feet state of the art purpose built facility, fully equipped with a proper martial arts safety floor. 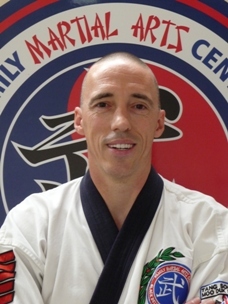 We are extremely family friendly and all classes are taught by professional male and female Blackbelt Instructors with 30+ years experience in martial arts, karate, kickboxing and self-defence. With a choice of 5 beginners classes per week and classes for adults, children and families I’m sure we can accommodate you and your family. We can make Massive Changes in YOU almost OVERNIGHT! Please leave your details opposite for details of our FREE 30 DAY TRIAL including a brochure, timetable and map of our location!